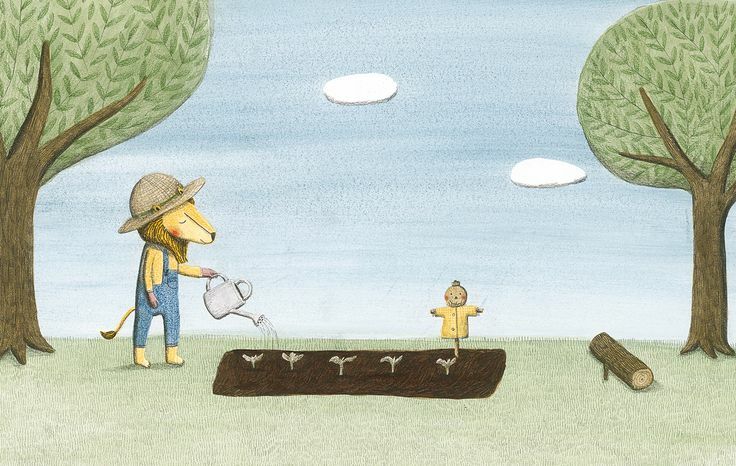 When you’re working with 32 pages—the length of a typical picture book—you don’t have much space to convey the slow passage of time. Instead, the emphasis is on action and propelling your story forward. But some stories need to unfold slowly, so readers can feel the rhythm of the days and the change in seasons. 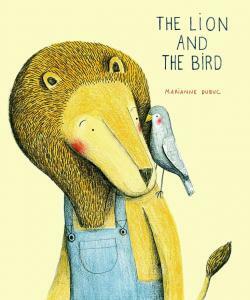 Take, for example, The Lion and the Bird by Marianne Dubuc (Enchanted Lion, 2014). With few words, but 76 glorious pages, it tells the tale of friendship found, friendship lost, then—eventually, over time—friendship found again. It begins when a lion finds a wounded bird. And here’s the first thing I love about this book. Contrary to archetype—you know, King of the Jungle, alpha male, apex predator and all that—the lion shows incredible tenderness toward this poor, injured creature. He cradles the bird in his paws then gently bandages his wing. It’s clear the injured bird won’t be able to join his flock for their fall migration, so the lion welcomes the bird into his home. As the days pass and winter arrives, Dubuc shows scenes of domestic tranquility and outdoor play. 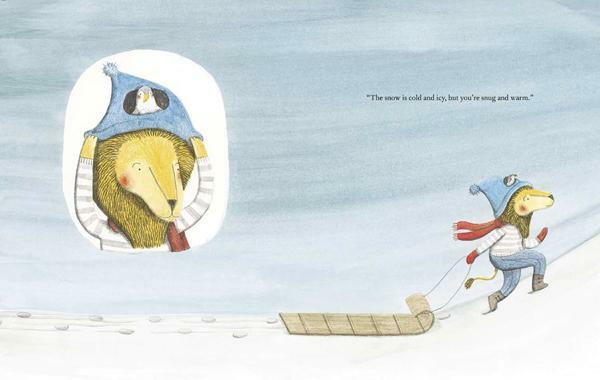 We feel winter deepening as several consecutive spreads show the lion’s cozy cottage all but disappearing into the snowy landscape. 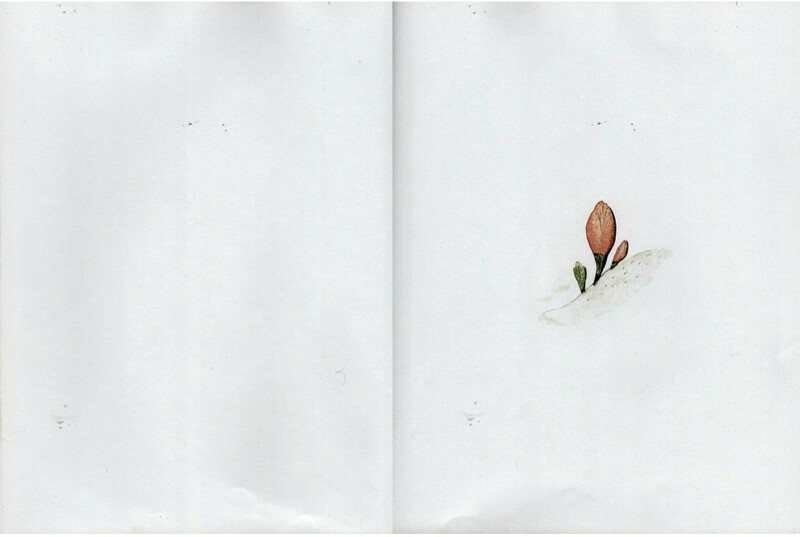 Then, we turn the page to a spread that’s completely white—except for a tiny bulb pushing up through the snow. Sure enough, spring has arrived. And with it, heartbreak, as the little bird, now healed, joins its flock migrating north for the summer. The lion accepts his friend’s departure philosophically. And so it goes. Sometimes life is like that. Then, an all-white spread, showing nothing but a single musical note. Could it be? Yes! The lion’s friend has returned. The two will spend the fall and winter together before it’s time for the bird to leave again. My description doesn’t do justice to this gem—it really needs to be read slowly and savored. For a little taste of what’s in store, watch this short interview with Marianne Dubuc and get a peek inside the book here. Books speak to us at different times, and this one may have particular resonance right now because of the daily background noise of the presidential campaign. 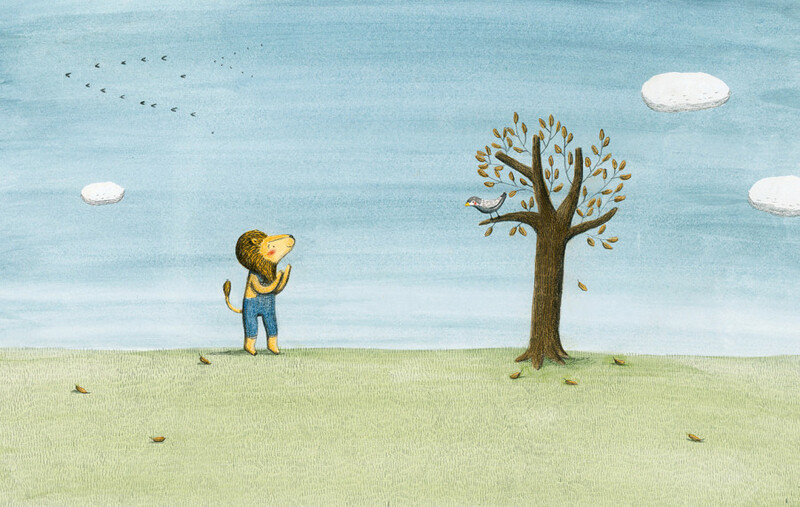 In this era of chest-thumping bravado, belligerence, and braggadocio—when boorish behavior seems to be rewarded rather than disdained—the lion’s gentleness, compassion, welcoming spirit and quiet endurance seem especially beautiful. One last thing before I go . . . 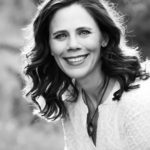 I want to introduce you to Emily Arrow, a very talented singer/songwriter who’s been turning picture books into songs and videos. She’s done a musical version of Tammi’s Your Alien, Peter Reynold’s The Dot Song, my Over the River & Through the Wood (with free song download!) and many more. Check them out—you’re in for a treat. 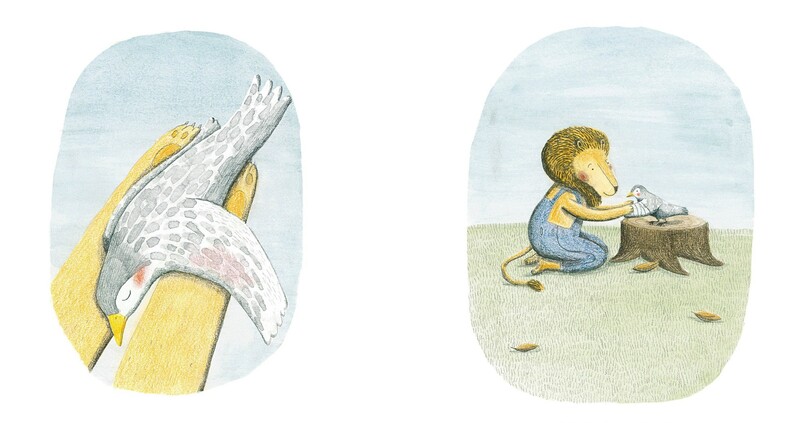 Linda Ashman, long picture books, Marianne Dubuc, The Lion and the Bird. Bookmark. Just requested this one from the library – looks delightful. I totally need this one as a mentor text. Thanks for this post, Linda! I think you’ll really enjoy it, Joanne. It IS delightful! I just read this book and found it so beautiful and heartfelt. I, too, noted the slow, but perfect, pacing. Wasn’t this a translation? Thanks for sharing! Hello, Denise! Yes, the author/illustrator is Canadian, and the original version was in French. I’m curious…do you get these book spreads from the publisher for each book you review on the blog? Just wondering how that works. Hi, Tracy. It depends on the book. Sometimes I get them from the publishers’ websites, or I might ask to use images that are posted on an author’s or illustrator’s website, or I scan some images from the book itself (as I did for a few of the images in this post). Perfect example of a beautiful, powerful quiet book that will leave a profound impression on every reader’s heart. Thanks, Danielle. I think that’s a perfect description. Sometimes less really is more. Looking forward to reading this classic in the making. So true, Rita–sometimes less really is more. 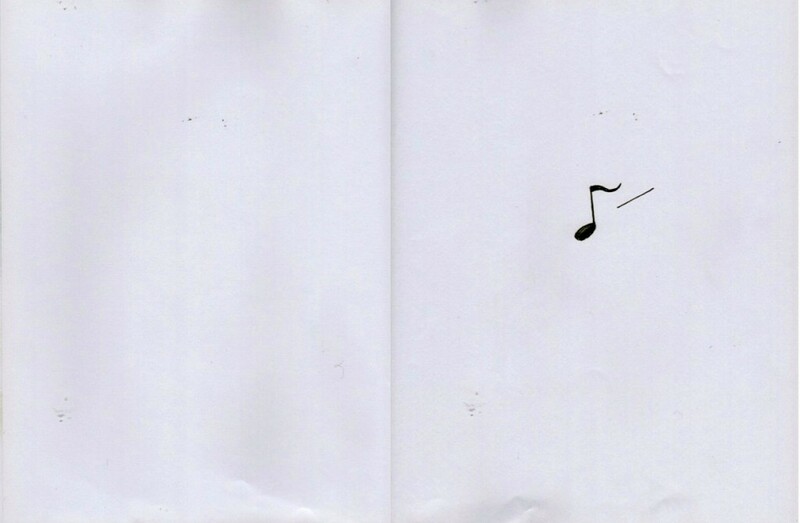 The empty space can be so powerful. Such a lovely book! 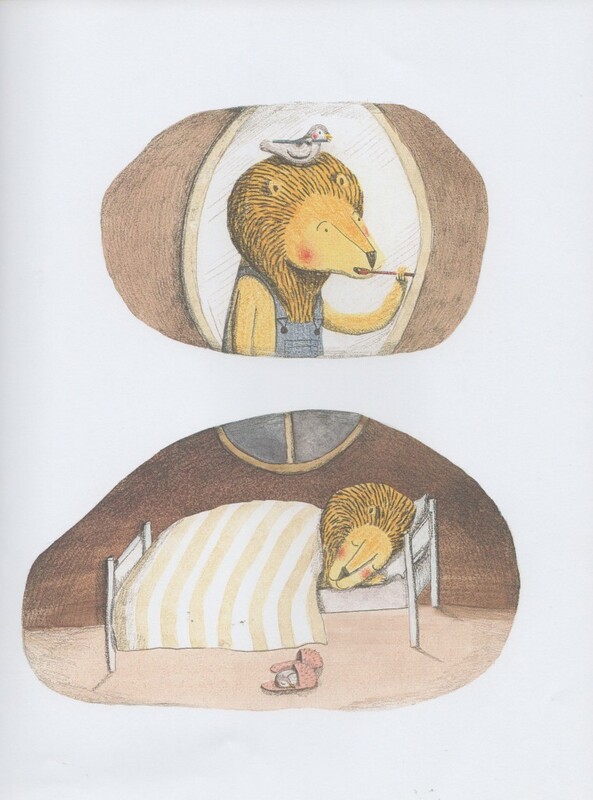 I love the idea of a tender, caring lion. I, too, was taken by those nearly white two-page spreads. The art says so much with so little! Sounds like a lovely book. Will need to check it out! Thanks for featuring it. Thank you for sharing this one, Linda! This is up my alley — looks so sweet. 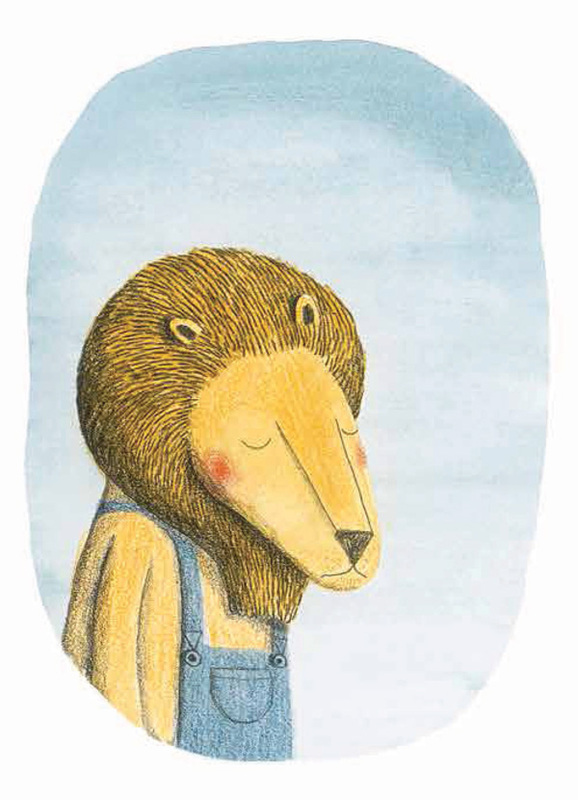 I am especially inclined towards the quieter, more compassionate characters in picture books too. Love it! I love this book, Linda! Thank you so much for sharing!